NON STARTERS ARE WELCOME! We service, repair, Re-program and advise on pretty much any electrical faults on your motor vehicle. Most companies only Diagnose engine faults, we diagnose Alarm / Engine/ Body control and immobiliser systems We use Computer based Engine diagnostic systems. 26 years in the industry.Advanced electronic equipment and Dealer based technology. Car alarms,alarm faults, alarm repairs, Replacement Remote Controls and Transponder Car Keys,Immobiliser problems, Vehicle Breakdown Repairs, Auto Electrics and Diagnostic Fault Finding, Airbags,airbag reset, ABS Resets, Engine Management and ECU Repair just to name a few. We specialise in Alarm / Engine/ Body control and immobiliser systems and can diagnose/program and repair faults also produce new remote controls for your vehicle. We also deal with all other manufacturers Engine systems. We have diagnostic systems for:- Peugeot, Citroen, Bmw, Renault, Mitsubishi, Honda, Vauxhall, Saab, Mercedes, Rover, Ldv, Ford, Nissan, Seat, Toyota, Kia, Hyundai, Deawoo, Mazda, Jaguar, Smart, Audi, Vw, Fiat, Mg, Ssangyong, Subaru, Skoda, Suzuki, Hummer, Jeep Cherokee, Alfa, Chrysler, Lexus, Landrover, Rangerover, Volvo. Many American Cars..... We Also Have :- All Car Make Immobiliser System Diagnostic/ Programming Computers. I know my car is on its last legs but i love it..Rover 75 diesel stopped on the side of the road.. the AA towed it to a garage and after 3 days of trying the garage had given up saying they were stumpted and thought i would need a new Brain/Computer. The Dealer said &pound;900 I found diagnostic wizard online who said they may be able to removed and send it away to be repair bu t on arrival and checking over the car removed and repaired it " in the back of his van" never seen anything like it. . they even put the whole car back togerther after it had been left in bits by the garage. all this for the tidy sum of &pound;175 ( i had already paid the garage &pound;95 just for looking at it over the 3 days ). Bargain and i would recomend to anyone. This man is a true wizard when it comes to auto diagnostics!!!! Van was a no start, I had a couple of other auto sparks look at it and tell me I needed a new ecu. I rang jnr he came, saw and conquered within 30mins if that! The problem was in fact due to dodgy wiring and a fuse being replaced in the wrong place! Sorted for very cheap, a good service, top man! Week later was out on a road trip when van once again wouldn't start, so rang again and was talked through the checks whilst on the phone. We had van started again in under 5 minutes!!! His diagnosis was a fuel lift pump in the fuel tank and to give it a wiggle and a tap and was on my way!! Many thanks, best customer service, I will be recommending to friends and family!! Use this service & don't get over charged with your car electrical problems. Thank you, Diagnostic Wizard! There was a problem with my MG ZR's immboilizer and I was quoted £900 by the MG garage. However I text Diagnostic Wizard with this problem and he came round within an hour (in the rain), and fixed the problem in 20 minutes and it only cost me £100. He was a honest, genuine guy and he will tell you exactly what the problem is and what is required to fix it! I will definitely use him for any electrical problems in the future! Susan. my 04 VW polo was in a garage for 6 weeks without repair. they said i needed bits for my non starting car totalling to the sum of Â£750. I found Diagnostic wizard on the internet and called. they sounded very confident they could fix it so i took the chance of spending more money. they met me at the car the next day and had it running in 35 mins. you should have seen the look on the faces of the guys that ran the garage. TOTALLY AMAZED! Oh and they took his business card, lol . this all cost me Â£120 (alot less than Â£750) and i am happy i met "THE WIZARD"
My car had been off the road for over a year, with a suspected ECU fault, despite several 'experts' looking at at, and even sending the ecu for repair, no-one could help. Diagnostics Wizards took 15 minutes to identify the fault and another 15 to repair it- all for Â£75- truly impressive. Don't bother with a main dealer- and save a fortune. Highly recommended- Thank you Paul. 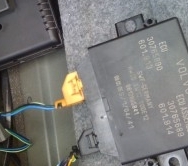 my car had not been sarted for 6 weeks as i went on holiday .mercedes e240 had a chap look at it and he charged me Â£95 for a (so called Diagnostic) and left saying i needed a new alarm unit. call this company Diagnostic Wizard! who were both professional in approach and diagnosis. hey started my car in 45mins and said tha the fuse for the alarm had blown and then re-sync my remote.PRFECT and best of all Â£75 i thought i would leave this review as good work so often goes without comment.well done lads! !